Used early 1970’s Bach Stradivarius model 37 medium large bore Bb trumpet in lacquer finish. 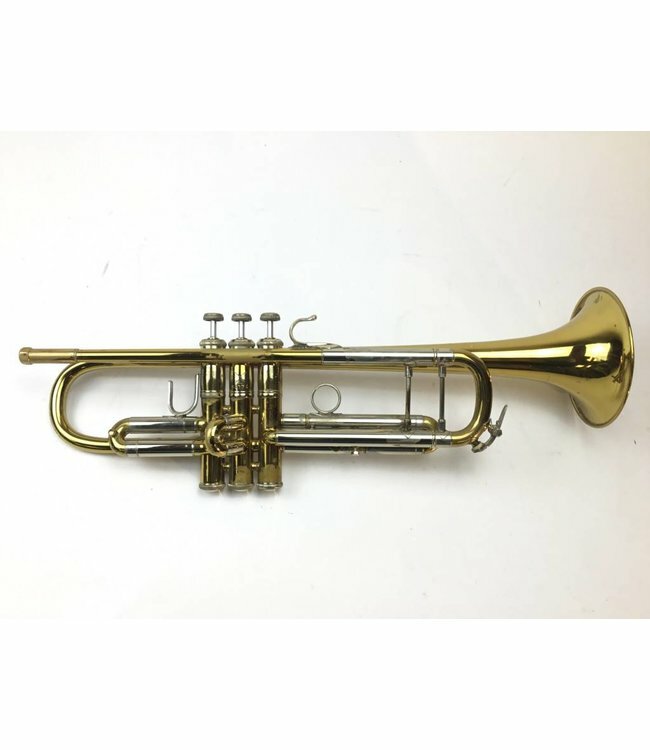 This trumpet is in very good condition despite significant lacquer wear throughout, and evidence of minor bell repair, not affecting playability. Has third valve stop screw in stead of stop rod. No case.